Jim Fratini, science teacher at Hermon Middle School, works on a density lab with eighth-grader Anthony Corisafulli, Jan. 16, 2019. About a quarter of school districts in Maine expect to keep “proficiency-based” diplomas in place now that the diplomas that emphasize students’ mastery of the state’s academic expectations are no longer required. That’s a finding from a new survey of Maine school superintendents taken in the months after the Legislature and former governor reversed course from a 2012 law and dropped the state requirement that school districts eventually issue proficiency-based diplomas. But even as they drop proficiency-based diplomas, school leaders said in the survey that their districts are retaining some of the teaching practices that accompanied them. “Many districts are looking for ways to maintain the spirit of proficiency-based education systems within a credit-based tracking system,” wrote Amy Johnson, the co-director of the Maine Education Policy Research Institute, which conducted the survey. The institute sent a list of questions to Maine’s more than 150 school superintendents in November 2018, and received 82 usable responses, a response rate greater than 50 percent. Approximately 25 percent of superintendents said they expected their districts to stick to proficiency-based diplomas, and 26 percent said they expected their districts to adopt a hybrid proficiency- and credit-based diploma. Only 11 percent of superintendents said they could not yet accurately predict changes to their diploma criteria. The largest number of school districts favored credit-based diplomas, with 38 percent of superintendents saying they expected their districts to revert to a traditional transcript following the state’s six-year push away from just that. However, those superintendents said their schools would retain some aspects of proficiency-based education that they had already implemented, according to the survey. Those included uniform learning standards for each grade level across classrooms and uniform assessments to determine how well students were performing against those standards. 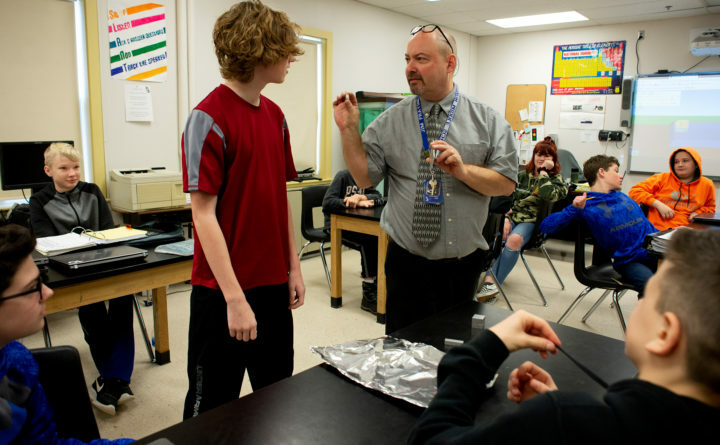 In the Bangor area, a number of districts have already made the switch back to credit-based diplomas but plan to retain some practices from proficiency-based education. Superintendents overwhelmingly felt that their existing graduation requirements were rigorous enough to prepare students for jobs or college, according to the survey. A concern that drove the 2012 law mandating proficiency-based diplomas was that Maine’s high schools were graduating students who were not adequately prepared for employment or higher education. Johnson, who presented the survey to the Legislature’s education committee last week, said school districts found they were restricted when it came to determining whether students unable to reach proficiency — such as some special-education students — could graduate under the state diploma requirement. Even following last summer’s change to eliminate the proficiency-based diploma requirement, Johnson said, a common worry among superintendents was that another future policy change could upend all they had done so far to make major changes. Maine’s education policies have fluctuated regularly over the past few decades. A third of the superintendents surveyed said they were were glad that the end of the proficiency-based diploma requirement allowed local control over graduation requirements. Others said they were unhappy that making proficiency-based diplomas optional would put at risk much of the progress their districts had made since the original law passed in 2012.